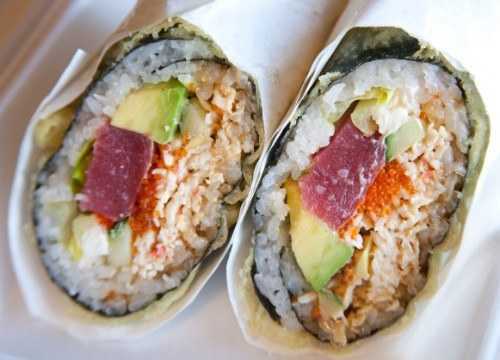 What is a sushi burrito? 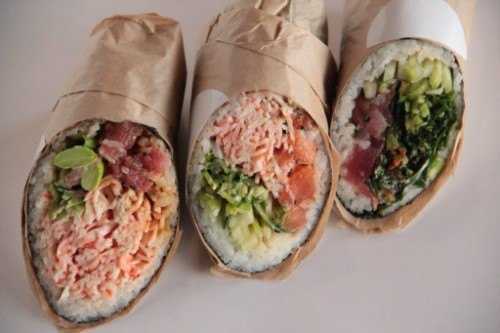 Simply put, a sushi burrito is a large sushi roll wrapped up like a burrito. 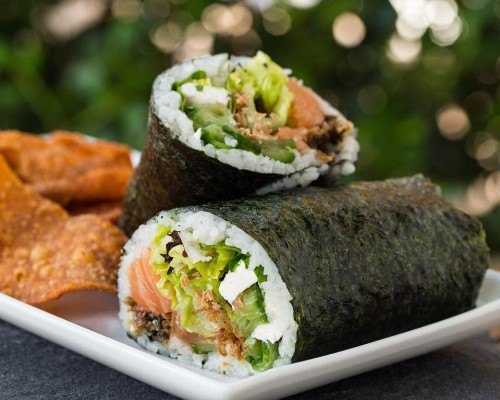 The ingredients are typically those of a traditional sushi roll: protein, vegetables, rice and nori (dried seaweed sheets). 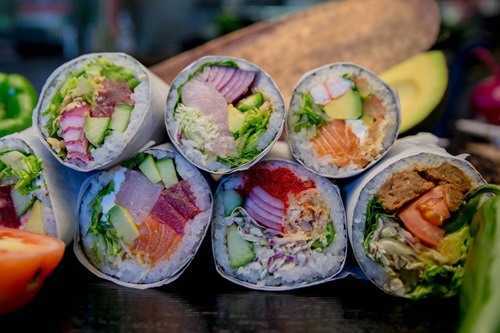 However, instead of slicing the sushi into pieces, it’s served as one whole wrap. 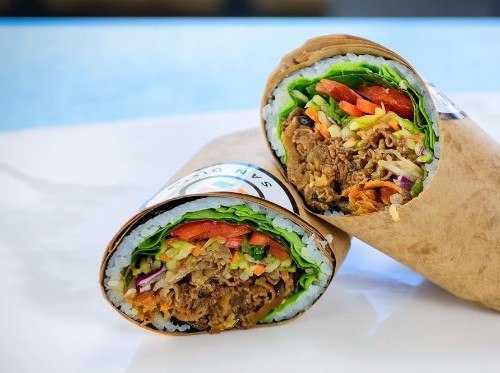 Mentions of the sushi burrito date back to the early 2000’s, but a San Francisco-based company, Sushirrito®, claimed its origin in 2008 and first brought the sushi burrito to the masses in 2011. 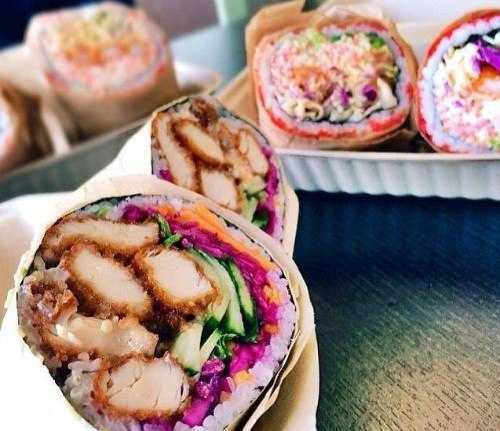 Looking for more places that sushi burritos? You can find them on Glutto right here. How can I make it? 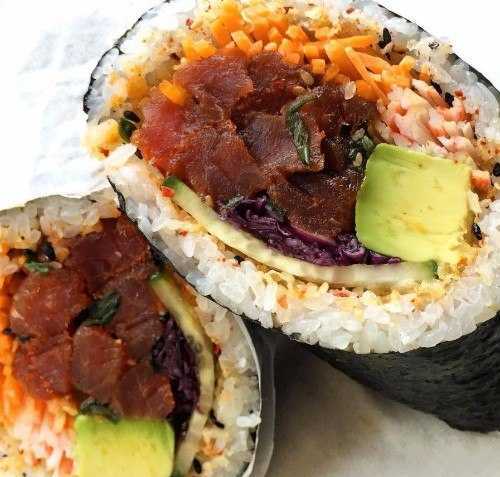 If you want to make a sushi burrito of your very own, we recommend this simple recipe. 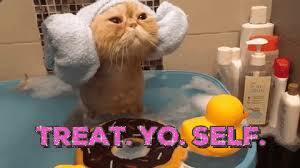 You can also save it on Glutto here. 6. 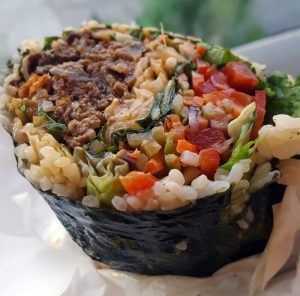 Roll sheet and gently press down as you roll, so the rice keeps the roll together. Add additional pressure when you reach the end of the roll so it doesn’t fall apart. Slice the ends for a clean look. 7. 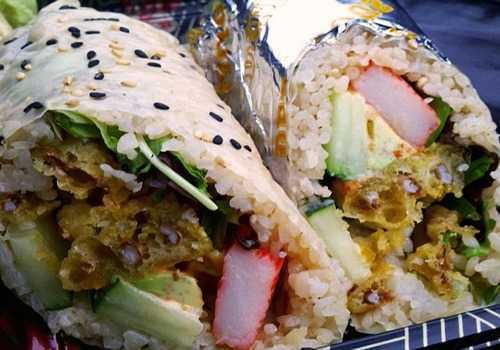 Serve with soy sauce and wasabi (optional) and enjoy! P.S. 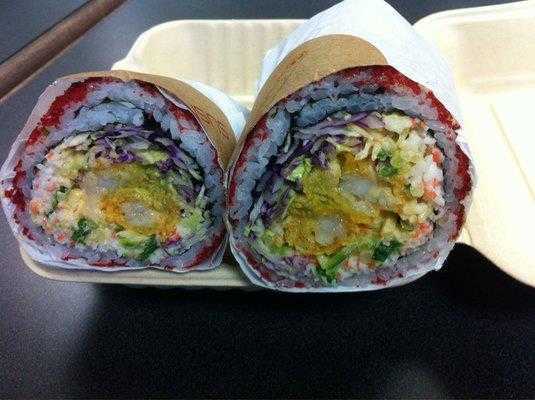 If you’ve already mastered the sushi burrito, maybe you should try your hand at the sushi donut.